Day 2 of our most amazing, super special s’mores week! I’m so excited to share this truffle recipe, as well as the other 3 that I have planned for the rest of the week. Just you wait! When I was thinking about what recipes to make this week I also had to think about how I would make them. In this case once I thought of making a S’mores Truffle I began to think about how to do that. 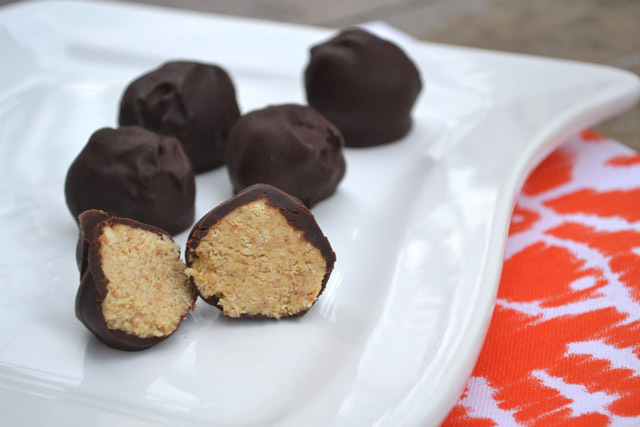 I looked at other truffle recipes, specifically Oreo truffles, to create a recipe for these truffles. I shared these with the guys on my job site and with the contractors working on residing he house next to ours. These were enjoyed very quickly. They did not linger around on the job sites. I highly suggest these for guys with huge appetites or for anyone at all! Please be sure to head over to Amanda’s blog and check her Microwave S’more Turtles! 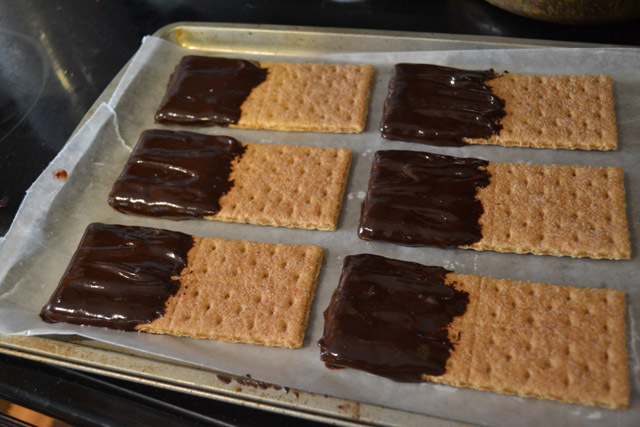 A quick, easy recipe that had me looking around for more s’mores supplies to try myself! Spray your bowl and mixer with cooking spray. 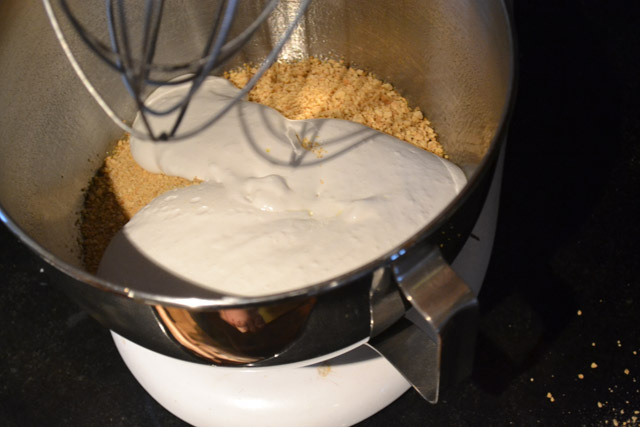 Add the cream cheese, graham cracker crumbs, and marshmallow spread to the bowl. Mix until all the ingredients are combined. The mixture should be held together pretty, but don’t worry if it is a bit crumbly. Spray your hands with cooking spray. 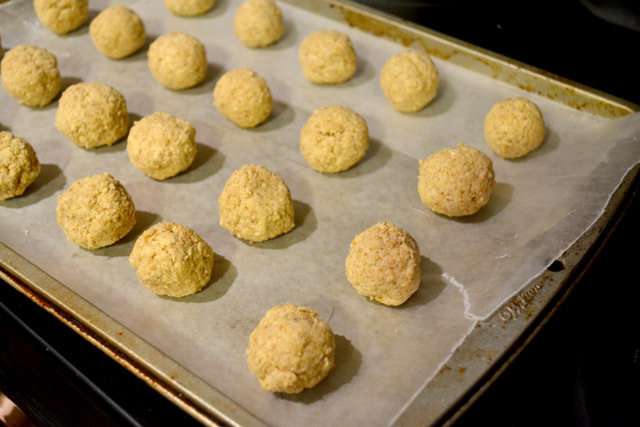 Pinch pieces of the mixture off and roll in your hands to form 1″ balls. Place on wax paper lined cooking sheets. Put in the freezer for at least 4 hours. When you are ready to coat the graham truffle balls, melt the chocolate in a double boiler or in a microwave. Slowly add the cream to the mixture until the chocolate is smooth and the consistency is loose enough to be able to drop a ball in and shake the chocolate off . 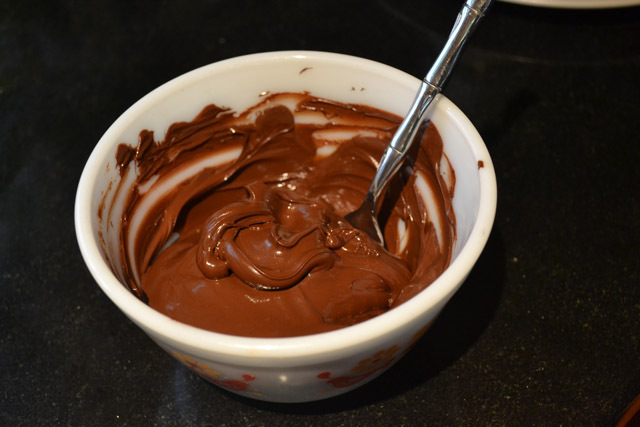 If you chocolate breaks in the process, then continue to add cream until the chocolate becomes smooth again. Drop the balls in the chocolate to completely coat. 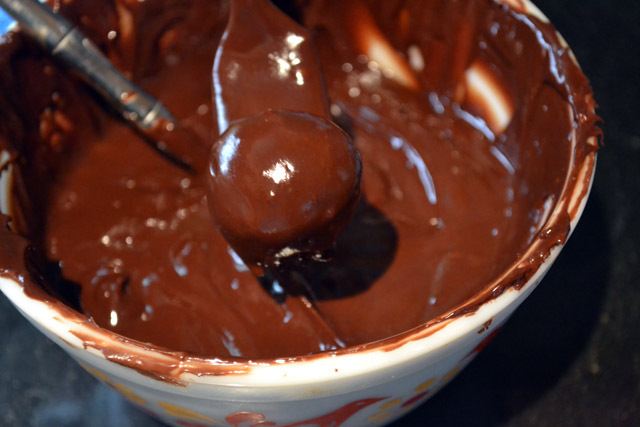 Using 2 forks or a Candy Dipping Tool remove the truffle and tap and shake off extra chocolate. Place on a waxed lined baking sheet. Chill until ready to enjoy! Find some fun dip-able things like cookies, pretzels, or fruit to use up the any remaining of the chocolate. I love truffles, and I love s’mores – these are awesome! These are so perfect! I think I’m going to cut down the recipe and make a couple tonight!